Eye capturing! 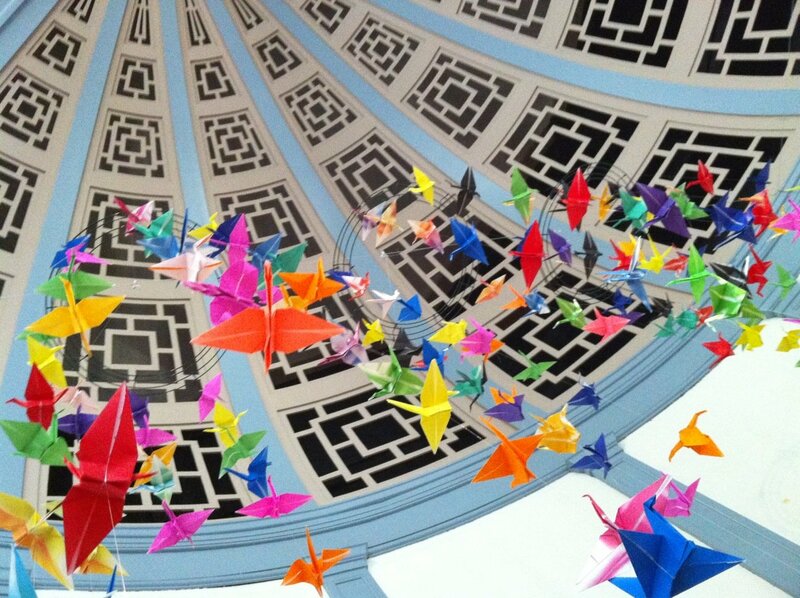 Looks like colorful paper birds caught in a giant cage. Thank you for sharing. Thank you! I call those “prayer cranes.” Those cranes are folded up prayer requests. I imagine them flying up to God. Beautiful! I can see why this inspires you. Thanks for sharing! Thank you, and thanks for stopping by, Bridgid!